… we have spoken to dozens of ‘experts’ over the … years … and your straight forward no-nonsense approach is a breath of fresh air. Since 1982 I’ve undertaken over forty expeditions or tours through the Sahara from Egypt to the Atlantic by motorcycle, 4×4, M.A.N truck, Mercedes saloon car, bush taxi and with camel caravans. All this has enabled me to gain an unparalleled knowledge of the practicalities of desert travel across the entire Sahara both as a tourist, a driver, rider, trekker and as a tour leader. 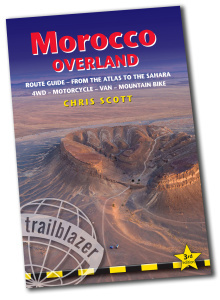 My books: Sahara Overland, Adventure Motorcycling Handbook (‘AMH’), Overlanders’ Handbook and Morocco Overland have frequently been described as ‘bibles’ for adventurous overland travel. Indeed, in 1997 I was the first to coin the term ‘adventure motorcycling’ to describe overland travel by motorcycle. In 1988 I organised my first Sahara motorcycle tour, a sorry catalogue of errors covered in Desert Travels. In 1998 I was one of the first British motorcyclists to visit the slowly emerging Socialist People’s Libyan Arab Jamahiriya. In 2000 and 2001 I organised and led the first UK 4×4 and motorcycle tours to return to Algeria and Libya. In 2003 I conceived and led the Desert Riders expedition across unvisited parts of southern Algeria to the Tenere Desert’s Lost Tree in northeastern Niger. A film of our trip appeared on National Geographic Channel. A few visits to Egypt’s Gilf Kebir followed, then in 2006 I organised an exclusive tour to view the Saharan Eclipse in Niger, and in the same year completed the second known traverse of the Majabat al Koubra or as I translate it, the Saharan ‘Empty Quarter’ from Mauritania to Algeria, so crossing half the width of the Sahara, but not without having to abandon my Toyota pickup halfway across. More visits to Algeria and Libya followed, and in 2007 I organised the first organised tour to reach the Amguid crater, a remote site only accessible following cross-country trek supported by camels. I continue to run or lead tours as well as where possible, plan my own explorations in little-known parts of the Sahara. Since 1985 my travel articles have featured regularly in dozens of 4×4, motorcycle and adventure travel publications the UK, Australia and the US. They include Wanderlust, Geographical magazine, Overland Journal, Land Rover Owner magazines, the Independent, National Geographic Adventure, and Guardian Online. In 1996 I even modelled in a feature (right) alongside Wilfred Thesiger and Benedict Allen, wearing a £60 T-shirt for an ‘Explorers’ fashion shoot in Esquire magazine. 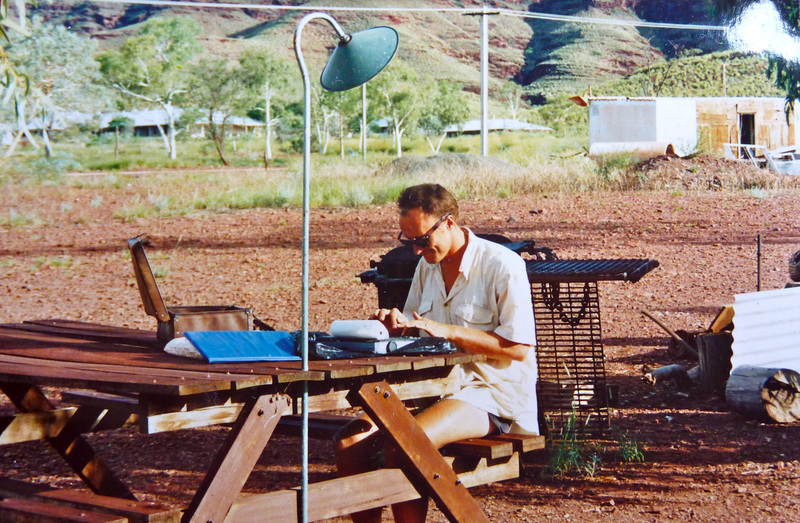 From the early 1990s I co-authored several editions of the Rough Guide Australia (left; the spin-off East Coast Australia won the 2009 Travel Press Awards Guide of the Year). 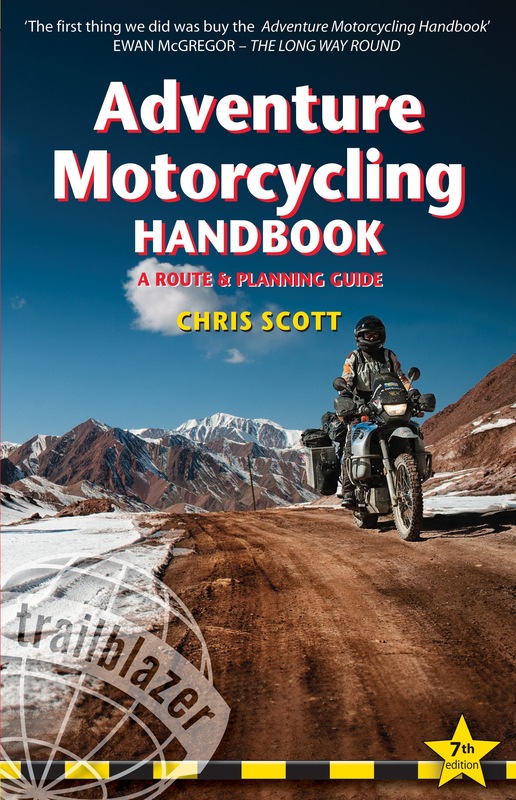 In the following years I wrote Desert Travels (right), several editions of the Adventure Motorcycling Handbook, my acclaimed 700-page ‘desert bible’, Sahara Overland, the equally comprehensive Overlanders’ Handbook and Morocco Overland. I also contributed to four-, and wrote one of the Rough Guide 25s ‘Ultimate Experience’ booklets (right) released to mark Rough Guides’ 25th anniversary. 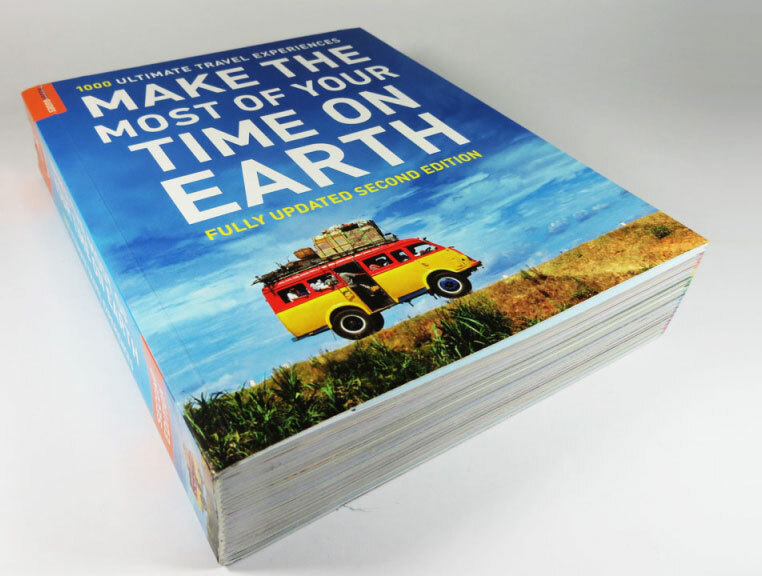 All my contributions were then featured in the best-selling compendium title released later that year: Make the Most of Your Time on Earth (left). My features included cameling, rock art, motorcycling and driving in the Sahara, as well as sea kayaking, rafting, sailing and several other adventurous activities in Australia. In 2008 I substantially updated and improved the mapping on the second edition of Trailblazer’s Pennine Way walking guide (left); the first such book to feature downloadable GPS waypoints for Britain’s longest Long Distance Footpath (LDP). 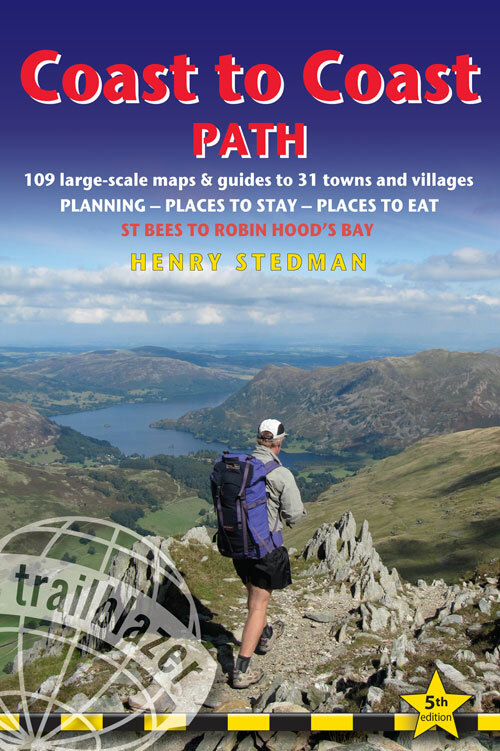 In summer 2009 and again in 2013 I did the same job for Trailblazer’s Coast to Coast title, the best-selling guides for Britain’s most walked LDP. Between writing my own books I’ve also edited and contributed to Trailblazer’s cycle-touring guides: The Adventure Cycle Touring Handbook (ACTH) and the much under-rated Himalaya by Bike (right). I’ve also provided informal route advice on such events as the London to Cape Town Rally and a successful London to Cape Town record attempt. On both types of events, the choice of route was critical to the successful outcome. On the way I’ve also helped put several hare-brained schemes straight, been approached by authors of romantic fiction and Hollywood scriptwriters to clarify details in their Sahara-based projects, adventuresome honeymooners, and even reassured worried parents about their siblings setting off on a Saharan adventure. • Explaining what’s possible in the ever-changing Saharan security environment with which I’m very familiar, having attended security briefings and provided feedback at the British Foreign Office. • Advising individuals or organisations where not to waste their money, effort and time. • Offering individuals a complete package where vehicles are acquired, prepared and delivered to the desert so busy clients can fly in, have their desert adventure and fly home. • Providing customised briefings for those undertaking challenging projects in the Sahara. • Practical desert survival planning and strategies that bear little resemblance to ‘SAS Survival Handbooks’ or survival-themed TV shows. If you think I can help you on something similar, get in touch. support following an initial meeting. 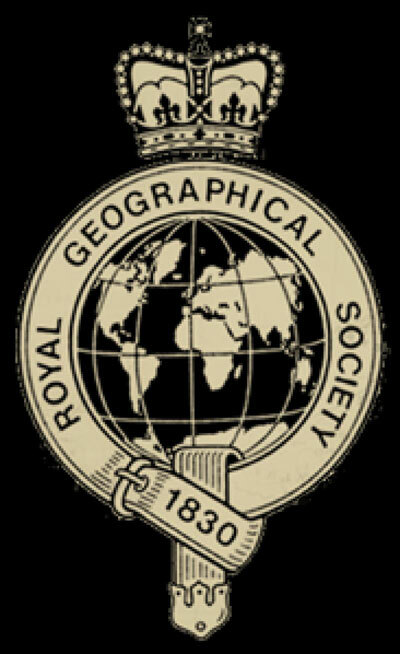 I’ve submitted expedition reports as well regularly chaired or co-presented at the annual Explore seminar at the Royal Geographical Society. I also regularly give presentations at London’s Adventure Travel Show where I’ve been interviewed for BBC Radio, have presented talks for the Oxford University Explorers Society and have been invited to do the same at Eton College. I’ve also given presentations at the Overland Expo in Arizona, as well as motorcycle shops and clubs along the US west coast. With my books established, from 2000 I went through a spell of making dvds to accompany them. The first of these, Algeria 2000 (re-released on dvd in 2006) was featured on Sky TV’s Destination Adventure series, followed by Call of the Wild (Yukon, 2001) and Desert Riders (Sahara, 2003). Both were subsequently broadcast on National Geographic Channel, as well as something called Moto TV in 2008. Gorge Riders, a motorcycling and canyoneering dvd set northwest Australia was released in July 2005, and in early 2006 I produced an updated version of my instructional Desert Driving 2 dvd (right) to accompany Sahara Overland. In 2004 I was invited to appear as one of the judges for a ‘Sand Racer’ episode on the then popular Channel 4 TV show, Scrapheap Challenge (left). I don’t claim to have any special talent or flashy DSLRs, but once in a while I happen to be in the right place at the right time. As well as illustrating the covers and colour spreads of my books, a couple of my photos have reached the finals of photo competitions. The cover of Gorge Riders dvd (left), shot at the Knox Slide in Western Australia’s Hamersley Ranges (also featured in the Rough Guide) was a finalist at the Kendal Mountain Film Festival Photo Competition in 2006. 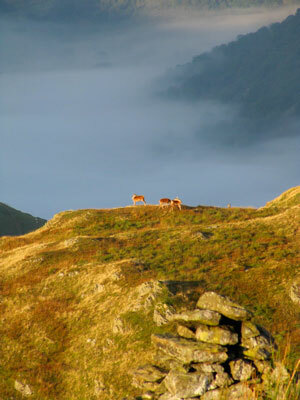 And a photo I shot of some grazing deer in the Lake District in 2009 (right) was a finalist in a wildlife photography competition. In 2011 an 8-page report on my Algeria tour made the front cover of 4×4 magazine. As Sahara tourism has declined I’ve taken to other forms of adventure travel. 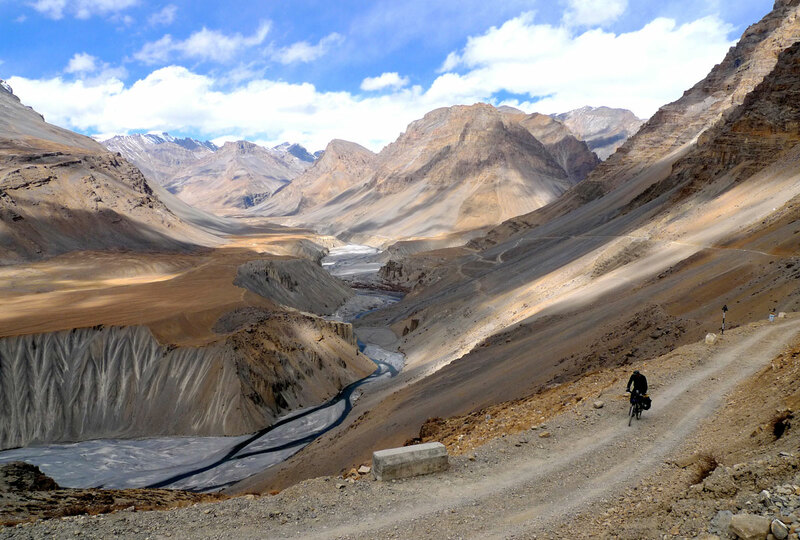 In 2008 I cycled from China through the Karakoram and Hindu Kush to Chitral in Pakistan with ACTH author, Steve Lord. And a year later we took similar 800-km ride across the Himalaya from Leh to Shimla, including a sphincter-loosening ride across the Kibber Span. I’ve also taken up paddling in portable boats and maintain the IK&P website. In recent years my paddling has taken me to Scotland, France, the US as well as Shark Bay and the Ningaloo Reef in western Australia. 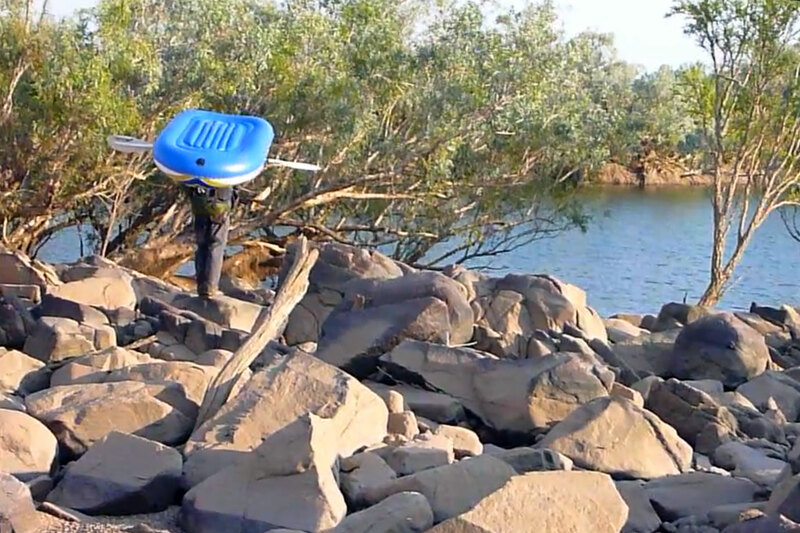 In 2011 a friend and I flew into the remote Kimberley region of northwestern Australia and tracked our way back south along the Fitzroy river, carrying or paddling our packrafts. The series of five short videos we filmed starts here. 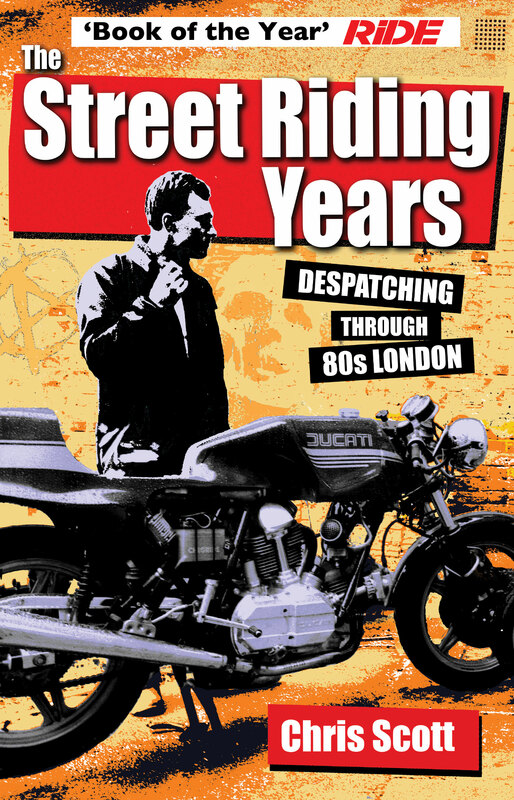 In early 2015 I published my ninth book, a 1980s urban memoir called The Street Riding Years. It covers the same period as Desert Travels but describes an altogether different world which owes little to my sensible handbooks. Ride magazine declared it ‘Book of the Year’. In February 2016 the 7th edition of AMH was published after no less than 25 years in print. The new edition is the best one yet, so saturated with experience, hard-won know-how and some Atacama-dry humour that I really don’t know what to say anymore. I also reprinted my Desert Riders dvd shot in Algeria and Niger in 2003 just before the whole Saharan tourism house of cards came tumbling down. 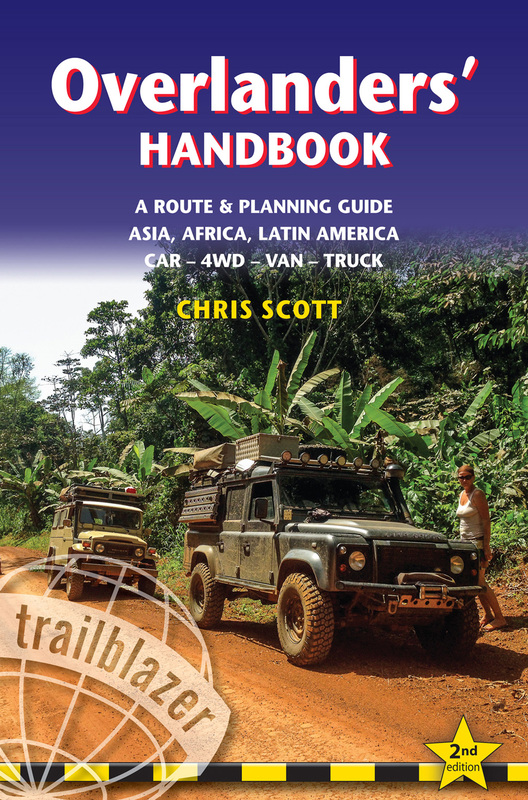 I n 2017 the second edition of my mammoth Overlanders’ Handbook was published and so was the third edition of Morocco Overland, now in full-colour and already a bestseller on amazon. 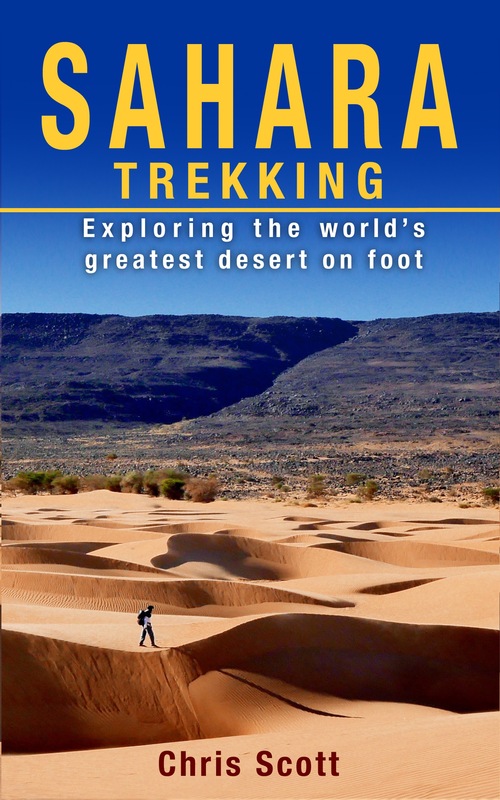 In 2016 I put together a quickie ebook on Sahara Camel Trekking. 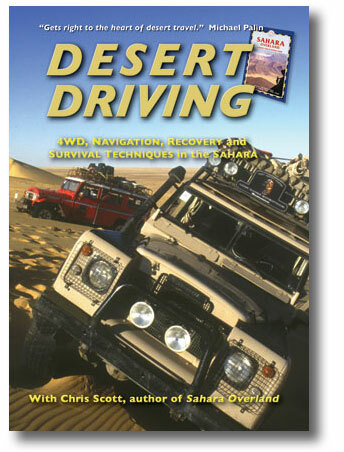 Based on the camel section in the 2005 edition of Sahara Overland, it was updated throughout with more recent material from Algeria, as well as that of several contributors. Following a visit to Mauritania, a second, fully revised and expanded edition called Sahara Trekking (right) was published in 2018. In the same year Gestalten in Germany published the second English and a parallel German edition of their high-end overlanding lifestyle monograph called Hit The Road (left). I contributed the introduction to this edition. 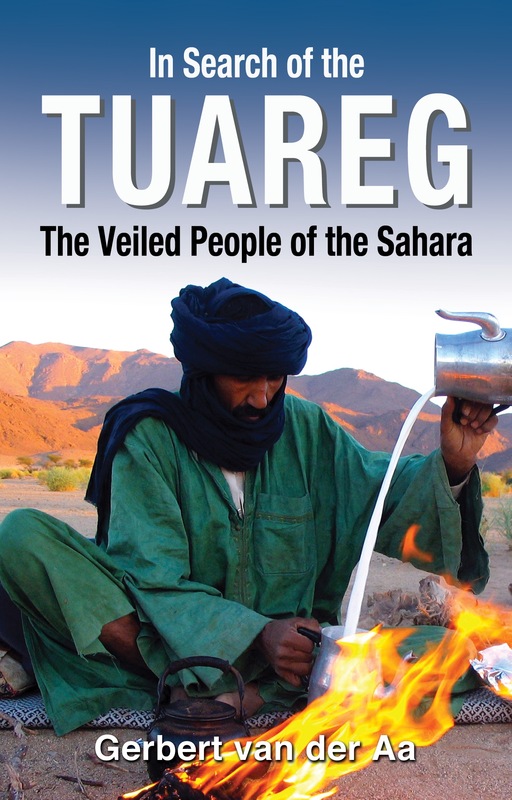 I also completed a long project editing and producing a paperback and kindle edition of In Search of the Tuareg; the Veiled People of the Sahara, by award-winning Dutch journalist and Saharan specialist, Gerbert van der Aa. 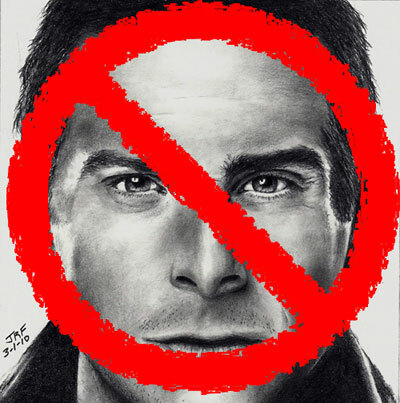 It’s now 2019. 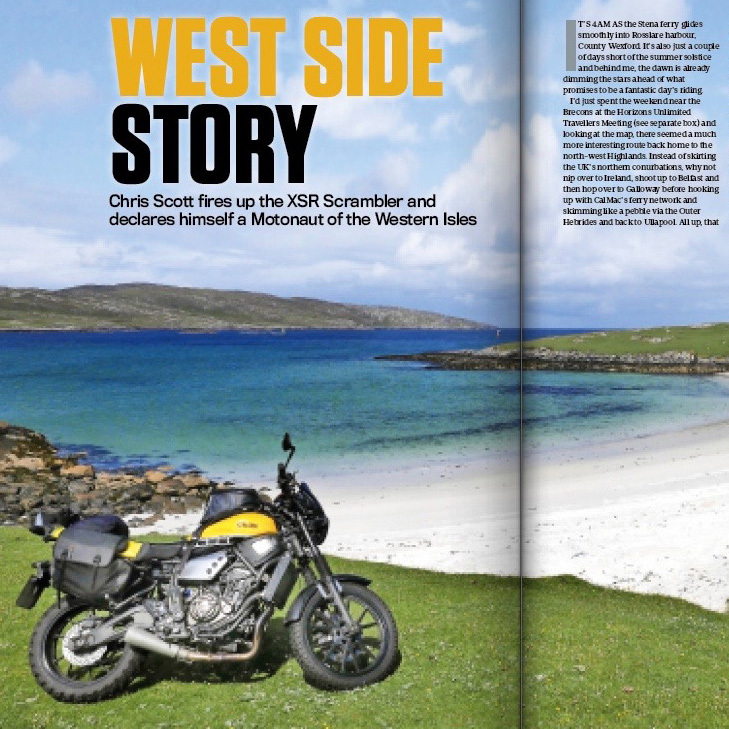 On the left, a recent article describing a dawn-to-dusk ride up the western coast of the British Isles for RIDE magazine. On the right, Motorcycle Messengers 2; a compilation of motorcycle travel stories edited by Jeremy Kroeker. I’m in there too. To see what I’m currently up to, have a look at either Adventure Motorcycling Handbook, Sahara Overland or maybe even IK&P. The only social media I do is Twitter. The latest posts should be visible somewhere up on the right.